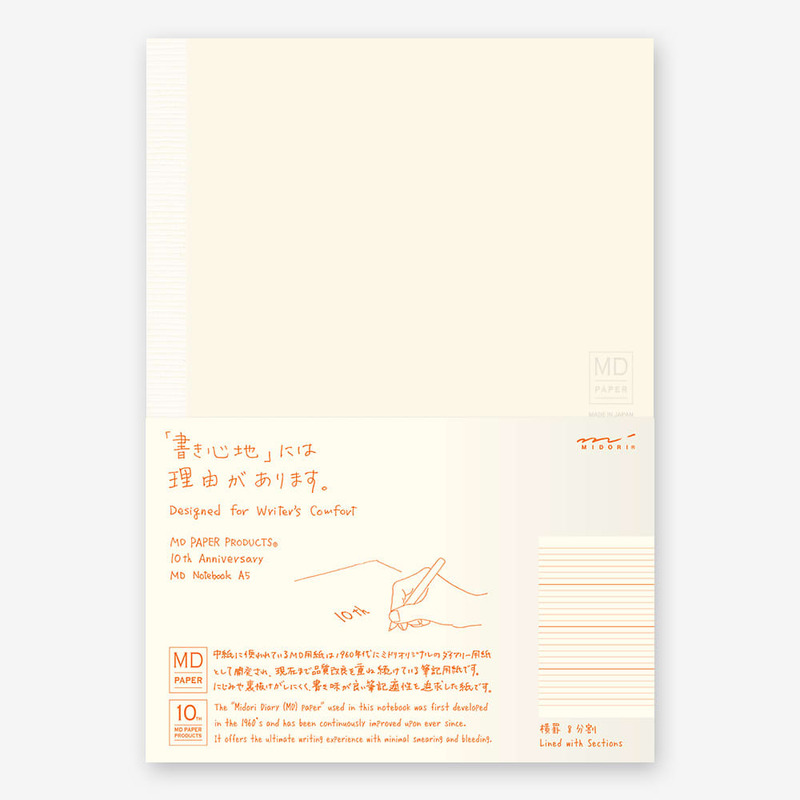 This is the Midori notebook 10th anniversary lined with sections. 7mm width lined pages divided into 8 sections per spread. Each spread can be used as a weekly diary with an extra section for notes, or as a project tracker to take notes on 8 different topics at a time.